Six quilt stores are joining forces to raise awareness, funds and items for children in need. Donate items for extra door prizes. 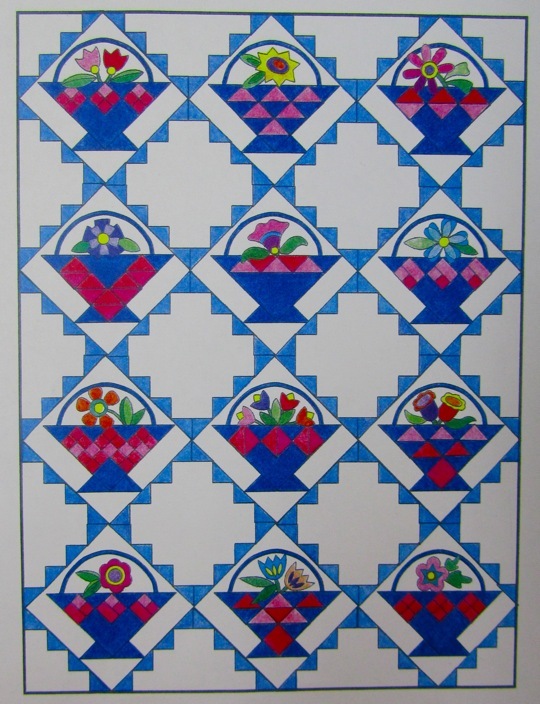 The progressive quilt this year will be a spectacular traditional quilt basket original design with PRE-CUT & FUSED applique flowers. Hoppers will receive two different basket/flower designs from each store for a total of 12. The batiks will be rich with color and will make a beautiful floral quilt. The diagonal setting gives this quilt many size options. You will love it! 1 Grand Prize: $300 Bonus Bucks can be used at any store. 2 Second Prizes: $100 each Bonus Bucks can be used at any store. 3 Third Prizes: $50 each Bonus Bucks can be used at any store. 4 Fourth Prizes: $25 each Bonus Bucks can be used at any store. 1. Purchase a passport for $10. Proceeds will help homeless children. Hoppers will receive a commemorative basket pin that represents our specially designed progressive quilt. 2. Pasports purchased before 2014 are entered in a drawing to win a $10 gift certificate from each store to be redeemed during the shop hop. 3. Passport holders are eligible to purchase sale items, progressive kits. 4. Progressive kits are only sold one per passport holder. 5. Win hourly door prizes at each store. For every $10 spent at each store, 1 ticket goes into that store’s drawing to win store prize. 6. Have passport stamped at all six stores on February 20, 21, or 22, 2014. 7. Completed passport winners are notified by March 8, 2014.